Goutham C ,Sree Narayana Public school , Kollam in the senior category and Nirav Pradeep, Kendriya Vidyalaya, NAD Aluva and Cyril George, Bhavans Vidya Mandir,Elamakkara in junior category adjudged champions at the 13th SMA Abacus National Talent Contest held in Kochi. In the senior category Second position was won by Blesha R(Christu Raja Matriculation Hr. Sec School, Kanyakumari) and Giri V Gopan ( Kochi Refinery school, Ambalamugal ) stood third. In the junior category, Aaliya S S (Carmel School, Peyad ) has won second position and Rohit Anil Kumar(Assissi Vidya Niketan, Kakkanad ) and Aswin Uday(Warvin School,Kottayam) have won the third position. 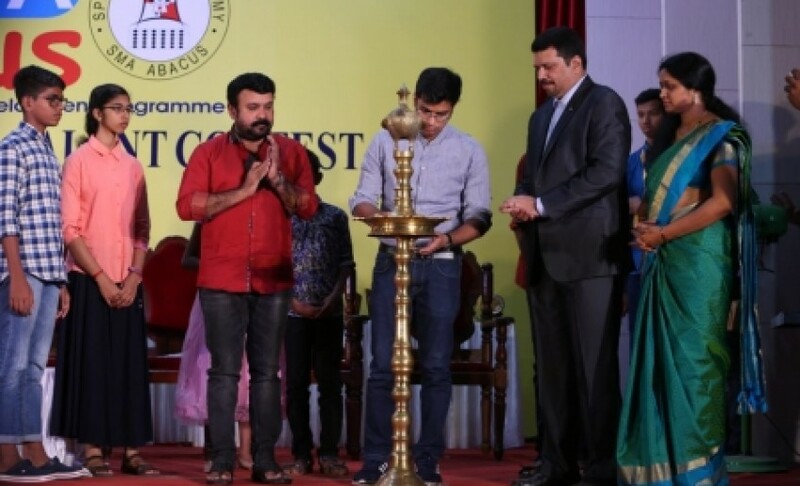 Fort Kochi Sub Collector Snehil Kumar Singh inaugurated the 13th SMA Abacus National Talent Contest, which saw more than 3000 participations from different centers of SMA across India. Cine Star Sudheesh and SMA Abacus (India) Private Ltd Managing Director of R.G. Suresh Babu also spoke on the occasion. In his inaugural speech, Snehil Kumar Singh said the children should keep learning new things; learning should never stop. The skills that children learn make them a better citizen.